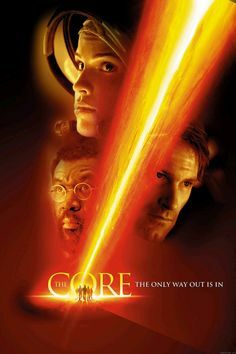 Brief Synopsis – After scientists discover that the Earth’s axis is causing strange global phenomena, a team is sent to try and fix the problem at the core. My Take on it – This is a film I saw a few years back and it came out at a time when there was a lot of disaster films being made. The idea here is an interesting one and although I’m far from being a scientist, I somewhat liked the way that they present the issues to us. Despite that, this film is apparently known for being one of the most inaccurate films when seen from a scientific perspective. The cast is pretty good here which is quite surprising that so many talented actors would agree to be a part of such a silly premise. Aaron Eckhart, Tcheky Karyo, Stanley Tucci, Delroy Lindo, Richard Jenkins, Bruce Greenwood and Hilary Swank are still all good despite the obvious flaws in the film. This film still has some moments along the way that are fun to watch despite all of it’s problems. Bottom Line – Somewhat silly disaster film that makes little sense but still has it’s fun moments. The cast is great which is quite surprising being how much work the story itself really needs here. I’m not a scientist, so I believe that the science here is fair yet it has been stated that this film is one of the most scientifically inaccurate films ever made. Sounds like an interesting and fun film! That landing is quite thrilling!